CAN-8224 | DeviceNet Embedded Device with 1 or 2 I/O Expansions. Formerly I-8KDNS1/2. DeviceNet Embedded Device with 1 or 2 I/O Expansions. Formerly I-8KDNS1/2. The CAN-8x24 main control unit is designed for the slave device of the DeviceNet protocol. It follows the Specification of DeviceNet. 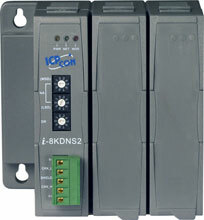 In order to expand I/O channel's flexibility, an CAN-8x24 supports 1/2 slot(s) for I/O expansion and is suitable with a many of ICPDAS DI/AI/DO/AO modules. 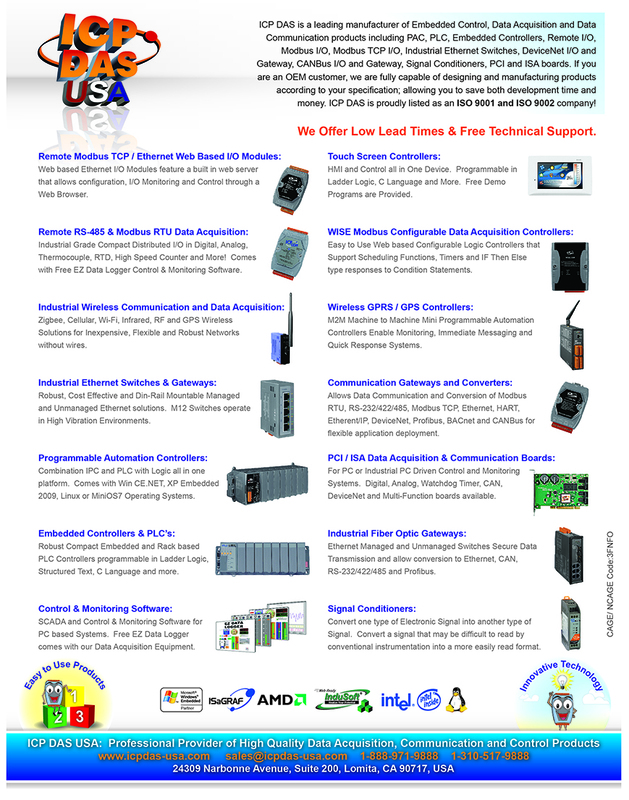 Users can choose DI/DO/AI/AO modules of I-87K series or I-8000 series to fit the customized practice applications. We provide the CAN Slave Utility to allow users to create the EDS file dynamically. The EDS file is based on DeviceNet and can be compatible with different DeviceNet master interfaces. The application architecture is as image on the right. In the CAN-8x24 device, ICPDAS provides CAN Slave Utility to produce the EDS file with the plugged in modules in off-line mode. After finishing the utility configuration, it can create the EDS file. This file contains useful CAN-8x24 DeviceNet information. It is also has information about the slave device. Users can use the default configuration for general DI/DO/AI/AO. Users only need to set the MAC ID and Baud rate by hardware rotary switch. After wire connections and the CAN-8x24 powered on, it can work normally on the CAN bus network through DeviceNet protocol. The following simple steps show how to use CAN-8x24 in DeviceNet protocol.